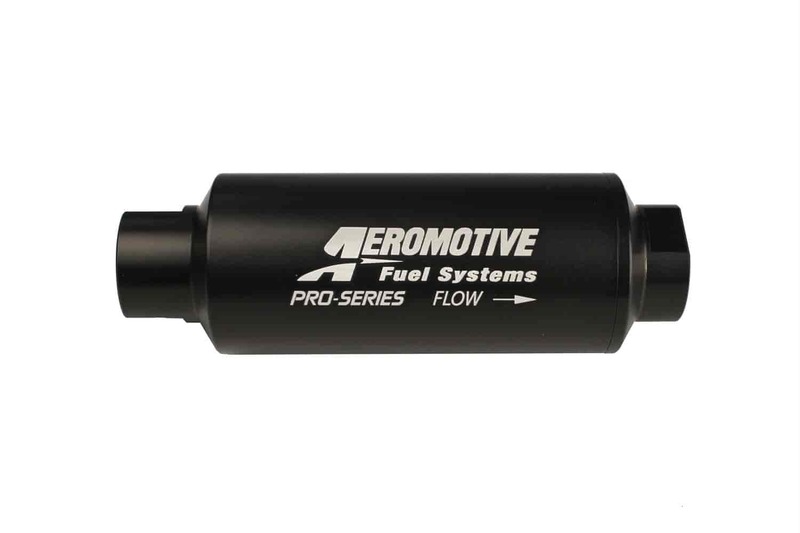 Pro Series Fuel Filter with hi-flow 10-micron (fine) fabric element. 7'' long x 2.5'' diameter. Flows 2,000 lb/hr with a pressure dropof less than .5 PSI! Features the Pro Series electroless nickel finish and -12 AN inlet and outlet ports. Designed for use on the pressure/outlet sidein ultra-high HP applications or where extended maintenance intervals are desired.